The Nottingham West Civic Association recently contacted residents in a letter regarding a significant matter discussed at the annual meeting last October. The letter references a plat map, which is detailed in the below image. You may also download the map in a PDF format at the bottom of the page. 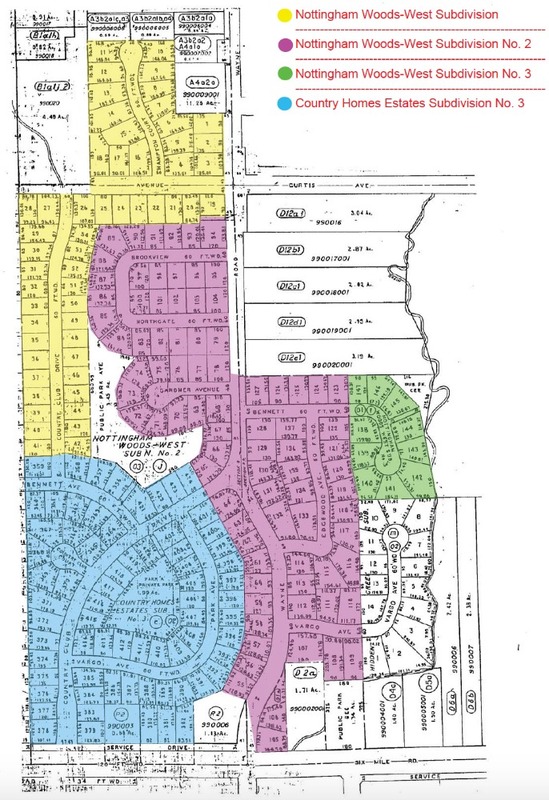 Deed restrictions have been recorded for some of the areas listed on the map (deed restrictions do not exist for Nottingham Woods-West Subdivision No. 3), and are listed below the map.